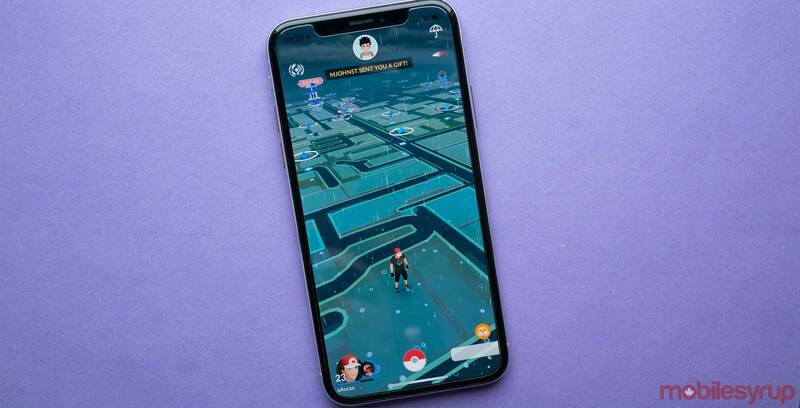 Pokémon Go has generated $2.45 billion USD (roughly $3.3 billion CAD) since launching on Android and iOS in July 2016, according to a report from mobile analytics firm Sensor Tower. In total, Pokémon mobile games have brought in $2.5 billion USD in revenue, meaning developer Niantic’s free-to-play monster-catching game is, unsurprisingly, the top-earning Pokémon smartphone title by a significant margin. Sensor Tower says that five other mobile games contribute to the $2.5 billion (roughly $3.36 billion CAD) sum: Pokémon Shuffle, Pokémon Duel, Pokémon Quest, Pokémon: Magikarp Jump, and Pokémon TCG Online. For comparison, the second highest-earning Pokémon mobile title is Pokémon Shuffle Mobile, which launched in August 2015. Pokémon Shuffle Mobile has grossed about 10 percent or roughly $25 million (about $33.6 million CAD) of the $2.5 billion USD total to date. In particular, spending in these games surpassed $58 million (about $78 million CAD) last month — a 30 percent increase from revenue earned by these titles in February 2018. Sensor Tower estimates that 99 percent of that spending came from Pokémon Go alone. Altogether, the six Pokémon mobile games have been downloaded 640 million times on Android and iOS devices around the world since 2014. Pokémon Go accounts for 86 percent (550 million downloads) of this total.